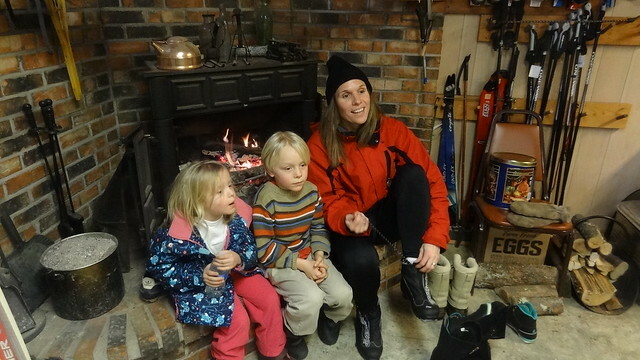 This is my final blog post about our time recently in my village of Michigan. 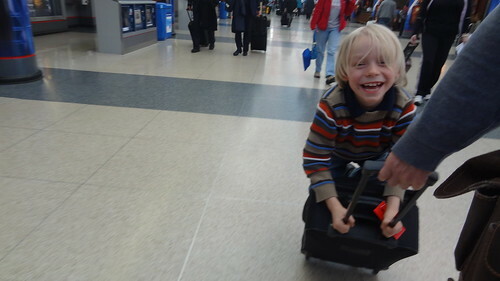 The photo above shows Oliver riding my carry-on through Chicago’s O’Hare Airport. All of our children naturally jumped on the carry-ons for years, and I’ve never seen anyone else do this. People always get a big smile on seeing this. Oliver is probably getting one of his last rides as the guy is getting a bit too big for this.The vitality and “circle of life” aspect of being a father and husband has given me much solace during this sad time. I found comfort in knowing that every generation moves over for the next one to take over. I hope I pass on to my children the wisdom my father did to me. I also found a lot of renewal in getting out in the white, cold, beauty of the northwoods. 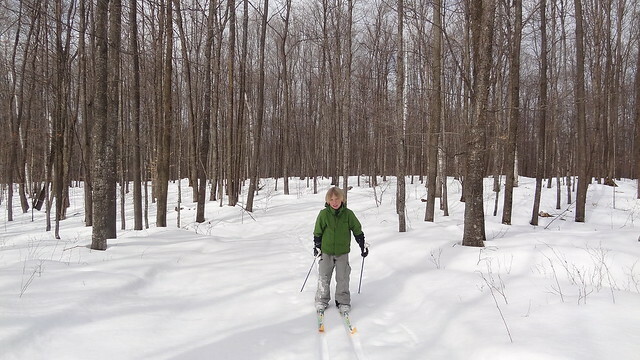 I grew up in the upper Great Lakes region, and I love getting out in the winter and cross-country skiing. The fresh air, crisp snow, and silence really lift my spirits. Owen and I did the big loop at the George Young Resort near my village. It is also nice to come in from the cold and warm up. A perfect winter day for me is a morning of skiing and a late afternoon of the sauna and swimming. I always enjoy going home to the Upper Peninsula of Michigan. My brother and I decided to keep our family home and it is comforting to know that my memories are preserved and we always have a place to come to.